Online communities have been an essential support for us personally. We found emotional support, friends, recipes and more. We have an active Facebook Group and encourage you to join. The following groups are all located on Yahoo! and can be joined for free. In most instances, you can read the messages without joining the group. 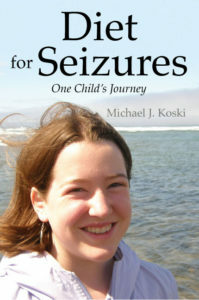 Our favorite has been: Atkins Diet for Seizure Control. This group was started and was moderated by one of the fathers in the same Johns Hopkins study that we participated in. Over time he added additional moderators who have children successfully using the Modified Atkins Diet. This forum has traditionally stayed strictly on topic and is a fantastic place to get emotional support, advice on counting carbs, recipes, side effects, etc. The group was “frozen” on December 3, 2011 after over 25,000 posts. I highly recommend reading some of the history of this group if you are going to be following the diet. The group: Ketogenic Support Group obviously focuses on keto diet issues, but is an excellent resource for troubleshooting, getting answers to questions, finding tips etc. With over 45,000 messages and hundreds of members worldwide, you will find many knowledgeable friends here. The Johns Hopkins Epilepsy Center, where the initial studies on the Modified Atkins Diet for seizure management were conducted is another great place to start if you are looking for referrals or direction.